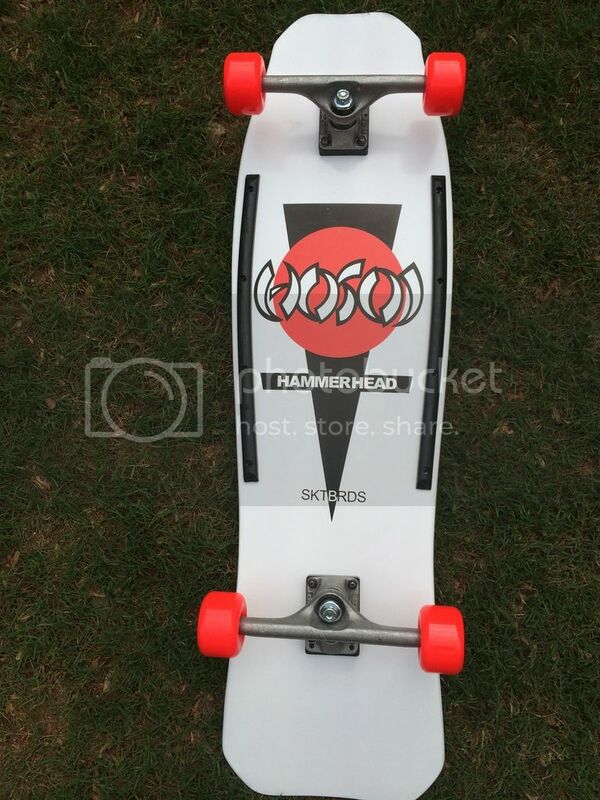 Check out this custom one on a OG hammerhead love it. 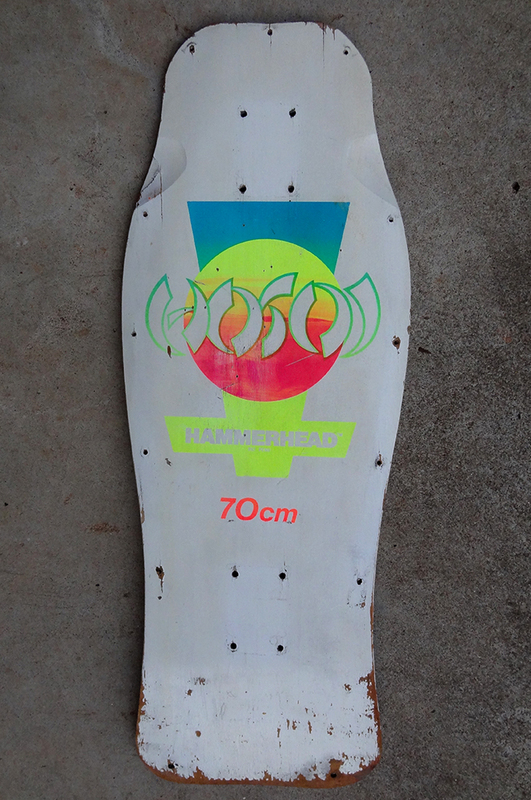 Just in rad white and rainbow Euro 70cm Hosoi hammerhead. Both your new ones are nice! So excited on this. Got this from FB member who works at skateboardsmadeinusa.com. The make hammerhead reissue blanks and Christian was visiting and grabbed one of the blanks and drew his classic circle and spike logo on it and gave it to him in Dec 2014. 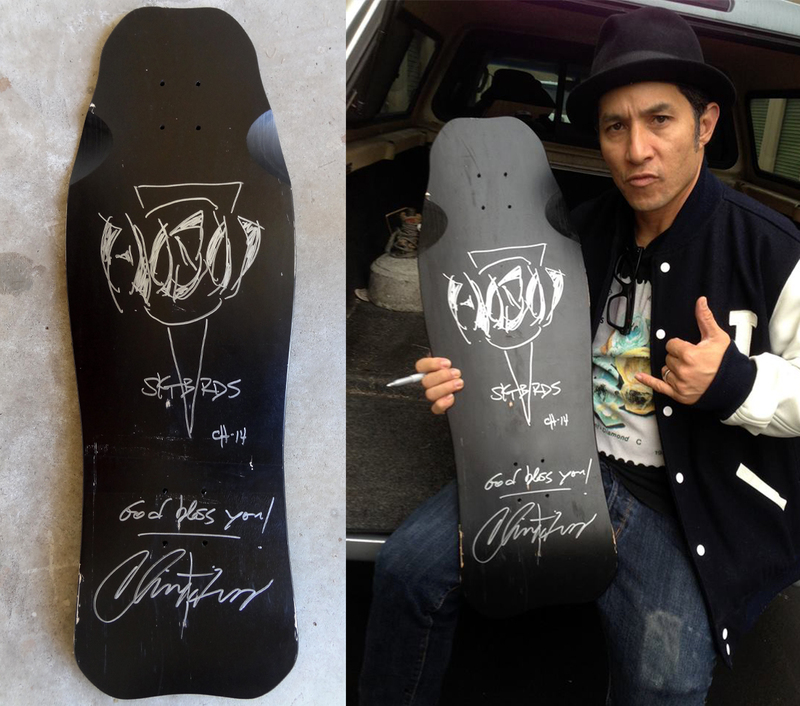 As most of you know i have a HUGE hammerhead collection so getting to own this one off with art done but Hosoi means allot to me and will be a center piece in my collection! you have a Hammerhead collection? no way! 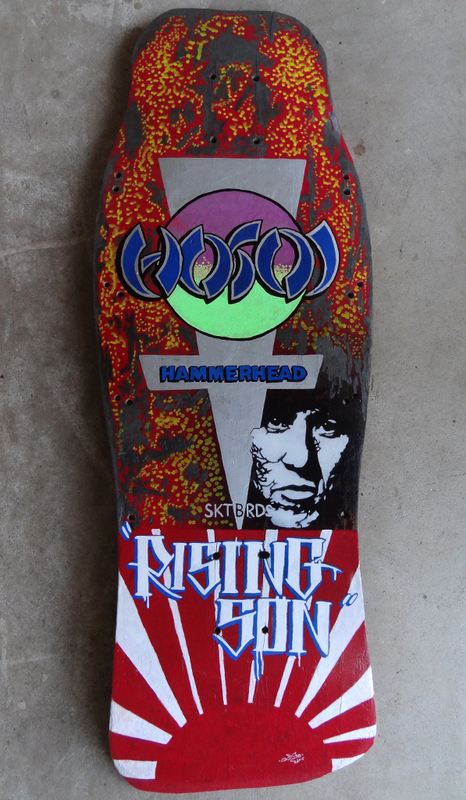 Rad deck! 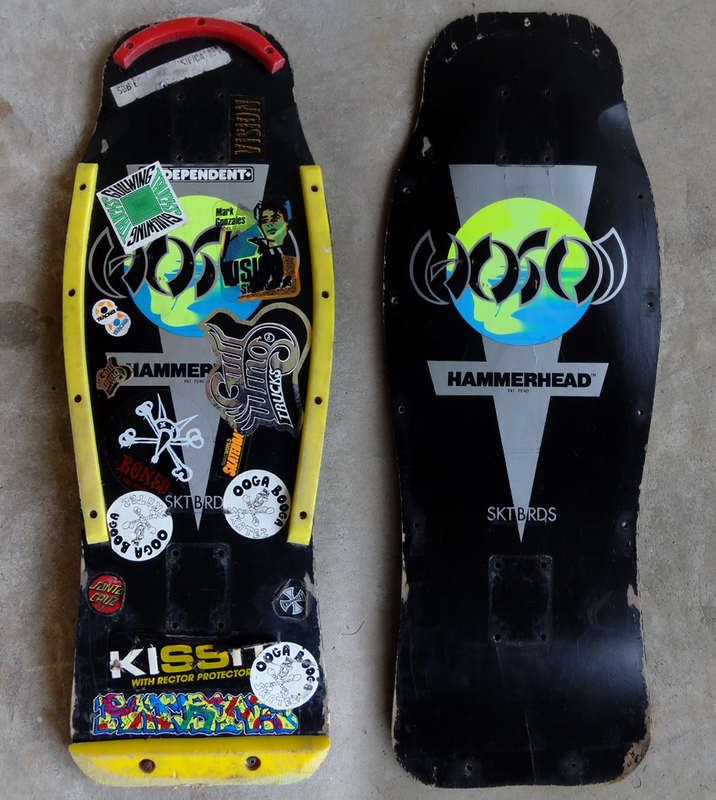 Before & After cleanup on this rad Mini OG Hammerhead. Cool misprint on the screen on fade in the circle. This is my first ever Hammerhead, I've always like the shape but I always thought there were a little short for my preferences. So when I came across his new 10x37 I was all over it. Setup on 184s and Powell Bomber PFs. I have a black Hammerhead with blue triangle, lime green dot and same blue outline for the lettering. 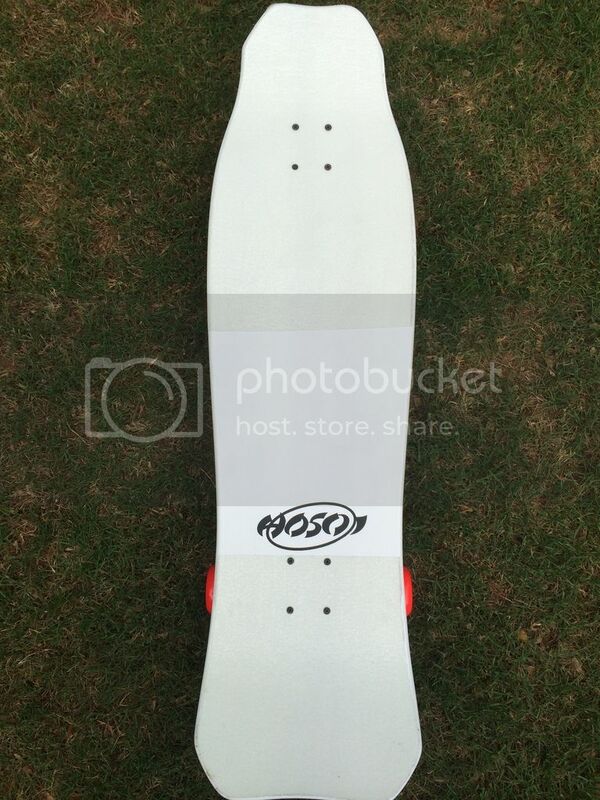 There is grip tape on it, and it is in decent shape. 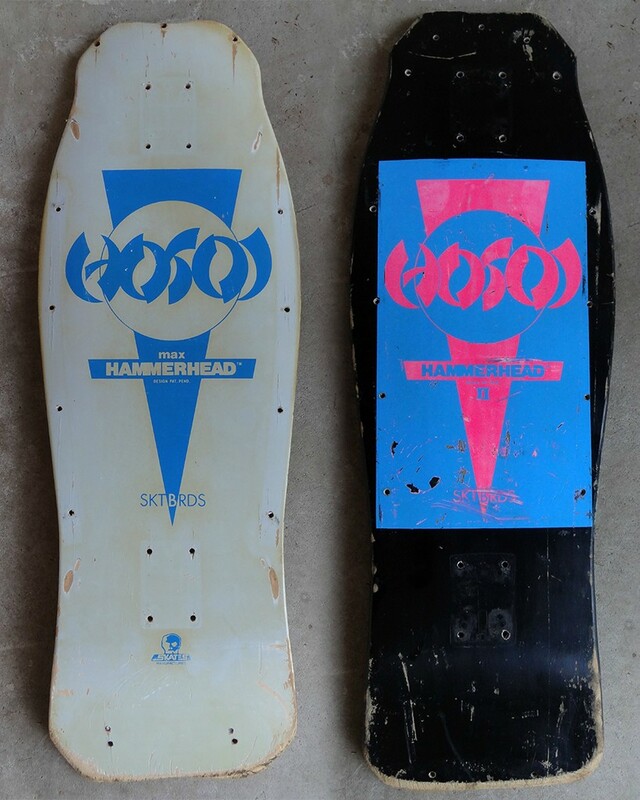 No other logos or print except for "Pat Pend" right below HAMMERHEAD and SKTBRDS at bottome of triangle. Any help with any info would be great, as I am not the original owner. 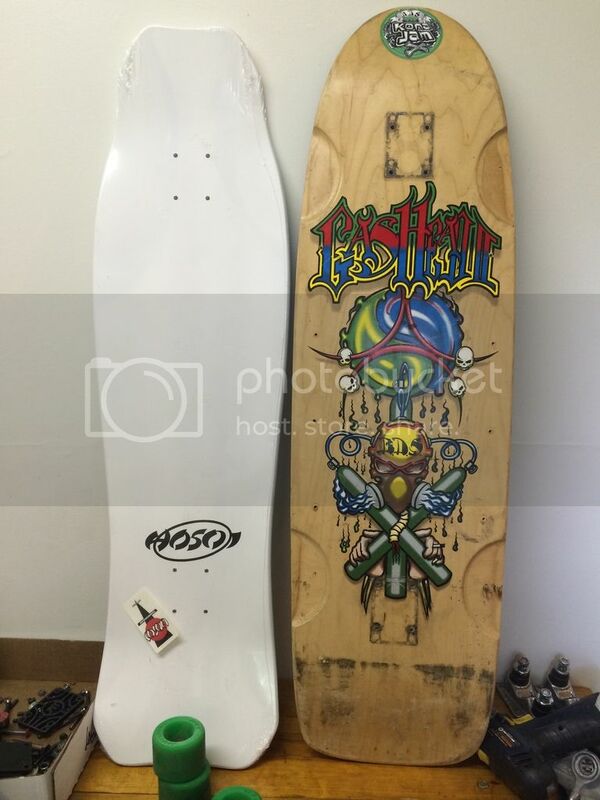 Currently has Independent trucks and black Alva Streetbombs wheels. No rail holes. I have not seen this color scheme anywhere on the internet. Cyrk is the person who should be able to help you. He hasn’t checked in for a while but send him a PM, maybe he will get an email notification and respond.